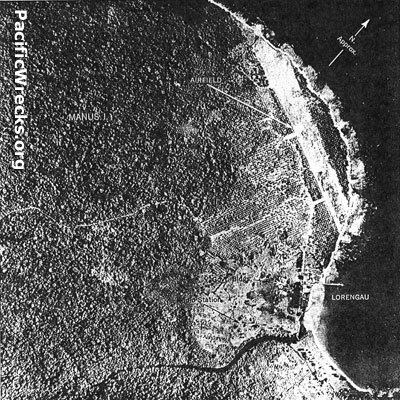 Lat 2° 1' 0S Long 147° 16' 0E Lorengau is located on the northeast coast of Manus Island. Borders Seeadler Harbor to the northeast and the Lorengau River to the south. 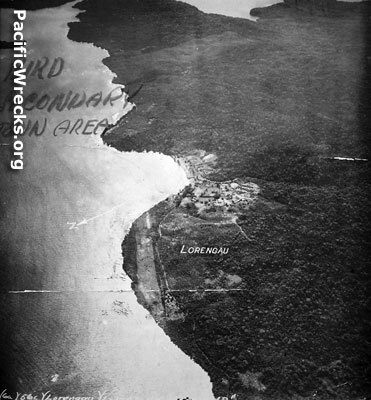 Also known as Losa, Lorungau, Lorangau, Rorengau or Leronguan. Prior to the Pacific War, A small section of the Australian Army 1st Independent Company commandos commanded by Lt. A. S. Palmer was stationed here. 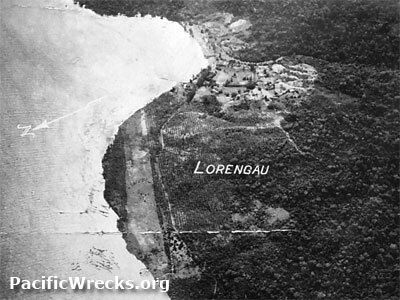 On January 25, 1942 Lorengau was bombed by the Japanese. Afterwards, the Australians defenders destroyed houses, fuel and shipping then withdrew inland. 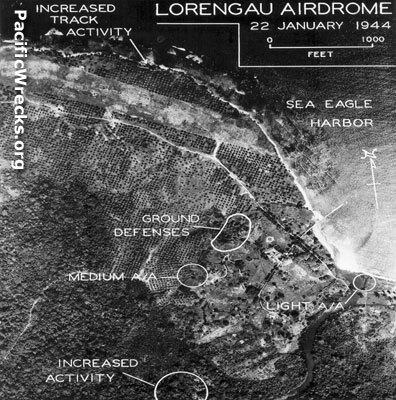 On April 8, 1942 occupied by the Japanese and developed as the site of their administrative base and built Lorengau Airfield. The Australians escaped on a schooner April 14, 1942 and sailed southward to Bogadjim. During March 1944, liberated by the US Army, the area was developed into a base area. Japanese airfield, liberated by US Army in March 1944, and afterwards not further developed.